St. Mark Youth Ministry offers programs for Jr. High (grades 7-8), High School (grades 9-12), and College-aged (ages 18-22) youth. 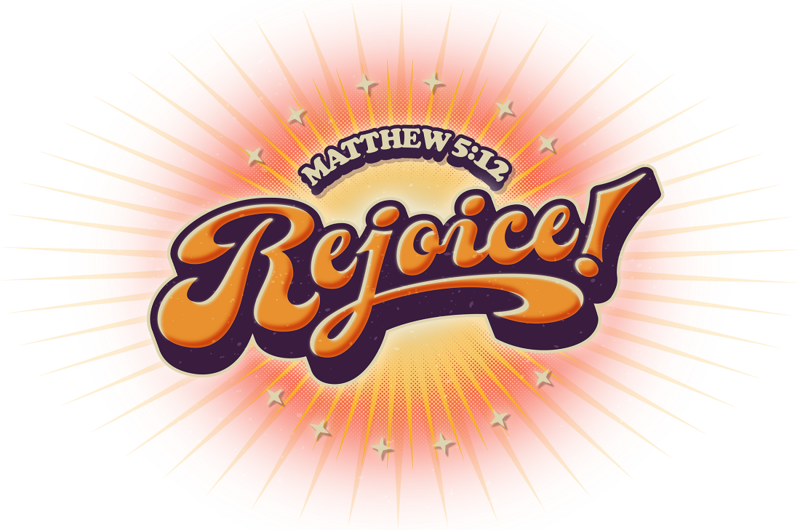 The annual theme artwork is meant to depict that we are called to “Rejoice!” even in the midst of darkness. Throughout times of sorrow, the bright light of Jesus Christ springs forth in all directions. Pope Francis asked that his reflections “be crowned by Mary, because she lived the Beatitudes of Jesus as none other.” The twelve stars in the logo are meant to symbolize Mary’s crown as described in Revelations 12:1. St. Mark Young Adult Ministry reaches out to young adults in their 20s and 30s, whether single or married. We strive to meet spiritual, social, educational, service, and communal needs through various programs. Kevin is generally in the office Sunday thru Thursday; with Friday & Saturday off except for retreats or other Youth Ministry events. Nancy is no stranger to St. Mark since she has worked at St. Mark school for the last 5 years. She joins our team and will help out both Youth Ministry and Religious Education on weekdays. is a Boy Scout Leader for Troop 1978 here at St. Mark.